In previous posts, I've described ways to make impressions of flowers instead of just records or documents of them. Today I'm sharing another technique you can do with the camera and a zoom lens. 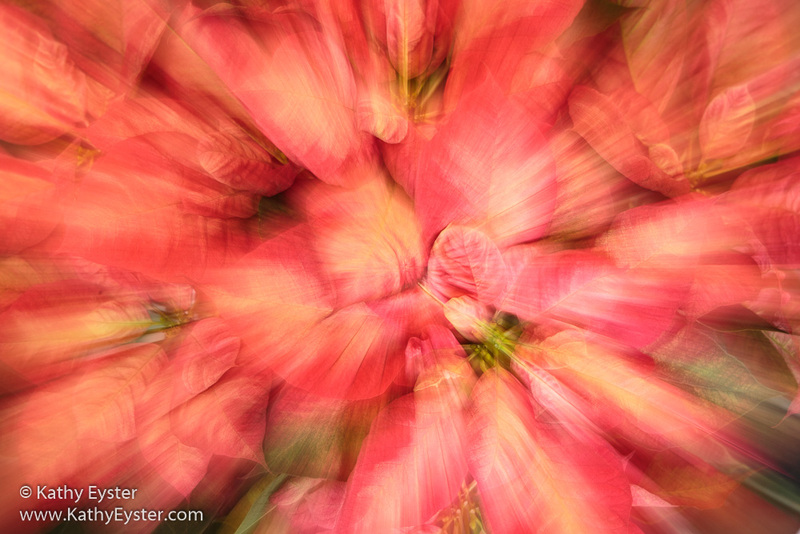 Once you've selected your blossom, set the camera for a long exposure; 1 second is a good starting place. 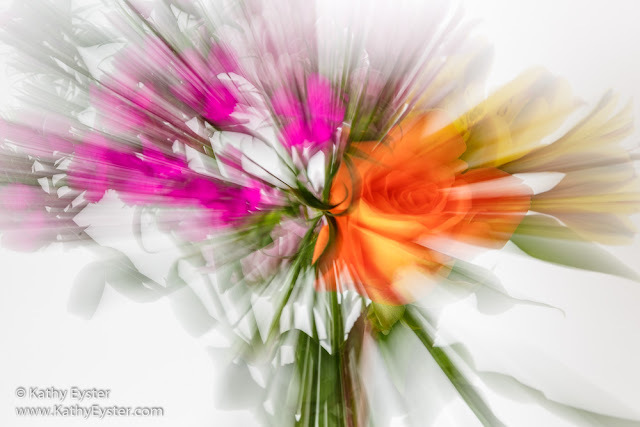 To achieve this longer exposure time, you need to use the lowest ISO number (100), select a big f-stop number (16 or 22) and have a flower that's indoors or in the shade outside. It also helps to have your camera on a tripod. Compose the flower so it's centered in the frame. Then press the shutter button and zoom through the lens' entire range. This creates lines or streaks of color radiating from the center of the image. You can experiment with zooming out versus in or stopping the zoom early or starting the zoom late so that a sharper image appears through the streaks.